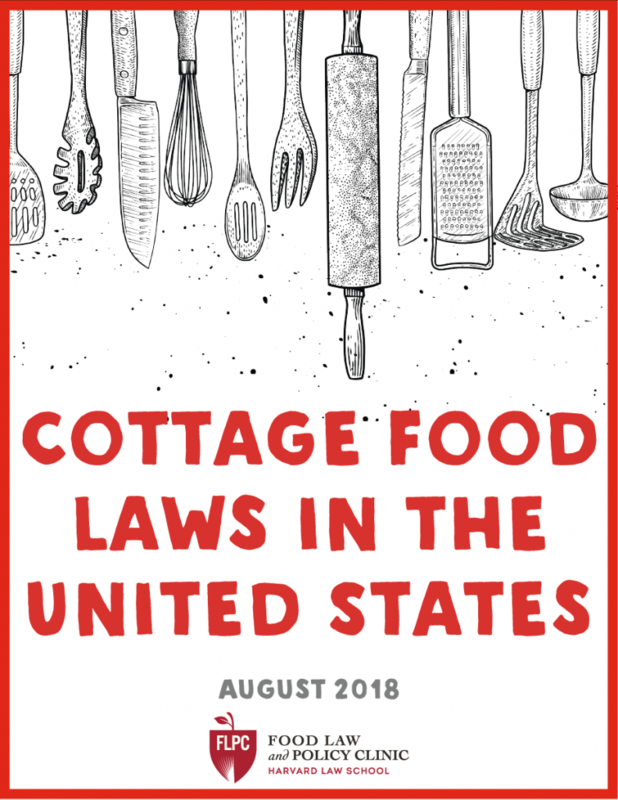 The Harvard Law School Food Law and Policy Clinic (FLPC) announces a new report, Cottage Food Laws in the United States. Building on its 2013 report, FLPC’s new report examines trends in cottage food laws and provides recommendations to strengthen these laws that allow food entrepreneurs to sell their homemade foods. FLPC has found that since 2013, several new states now allow cottage foods, and many states have updated their cottage food rules to expand the types of products or scale of production that is allowed under their provisions. Under the laws in every U.S. state, food generally must come from regulated and inspected food establishments. In recent years, however, almost every state has created exceptions to these requirements for certain “cottage foods” (homemade low-risk foods such as baked goods, jams, and granola). These laws balance food safety concerns with local business development by allowing home cooks to make and sell certain low-risk foods without undergoing the full inspection and other regulatory requirements of certified kitchens. Tiered systems for different types of foods, producers, or sales. Cottage Food Laws in the United States also includes recommendations to strengthen cottage food laws. Key recommendations include making cottage food laws easier for producers to find and to understand, lowering barriers to entry, and broadening the types, venues, and scope of cottage food sales in ways that allow local food businesses to thrive while protecting food safety. In response to the many requests we received after our 2013 report for more information on each state, the updated 2018 report also includes a detailed appendix that documents and explains the cottage food laws in every state and shares citations and links to state materials. This resource provides a starting point for producers and anyone curious about cottage foods to locate information that is often scattered across statutes, regulations, and guidance documents in each state. Across the country, food entrepreneurs, lawmakers, and regulators are all part of a cottage food movement that is bringing homemade foods to market and supporting small-scale food producers. FLPC’s new report provides a starting place for cottage food producers to learn about what they are allowed to do in their states as they are planning their new businesses. The report also helps cottage food producers, lawmakers, and advocates compare and contrast the varying requirements and provisions among states to see how they can improve their state laws in the future. This blog post was written by Amy Radding Hoover, summer intern with the Harvard Law School Food Law and Policy Clinic. In July, Diné Food Sovereignty Alliance (DFSA) convened advocates from across Navajo Nation to discuss Farm to School — programs that connect kids to healthy foods in school. In the two-day Healthy Kids, Healthy Learning Symposium, an energized group of educators, farmers, resource providers, and other community advocates shared their ideas and innovations to advance Farm to School programs in the Navajo Nation. A wide array of advocates brought energy and resources to the event. DFSA, which works to restore the traditional food system and foods on the Navajo Nation while addressing true food sovereignty, provided vision and direction. Community Outreach and Patient Empowerment (COPE), a Native-controlled non-profit working to eliminate health disparities, brought food system expertise and a network of partners, including the Harvard Law School Food Law and Policy Clinic (FLPC). Schools, farmers, other local organizations, and community members also joined in with their experiences, challenges, and goals. Throughout the symposium, each of these groups presented on their efforts. A local school presented on its Farm to School experience so far. A Farm Board representative told the group about work to help farmers access water and resources to grow food for schools. A farmer spoke about the challenges and opportunities he has faced selling into local markets. Several attendees also presented on some of the resources that are available to support local farm to school efforts; FLPC shared Farm to School policy recommendations for Navajo Nation, developed in partnership with COPE. Building on the wealth of resources in the room, Gloria Begay of DFSA led the group toward a vision and plan to develop Farm to School programs and advance food sovereignty in the Navajo Nation. First, attendees listed the challenges they face in implementing farm to school programs. But the group didn’t get bogged down in the challenges. Instead, advocates immediately set to work brainstorming ideas, resources, partnerships, and plans to surmount those challenges and expand farm to school programs. By the end of the symposium, the group’s notes captured a plan that touched on all three core aspects of Farm to School: growing school gardens, educating students about food, and serving local fresh food in school cafeterias. Current school garden managers shared a plan for growing a school garden program that would enable schools to start small, build capacity, and replicate successes. The group addressed food education as a way to help restore traditional food systems in Navajo Nation, part of ongoing work to bring Navajo language and culture back into schools. To improve procurement in cafeterias, farmers and advocates brainstormed ways to overcome transportation, water, and other barriers that can make it hard to farmers and schools to connect. 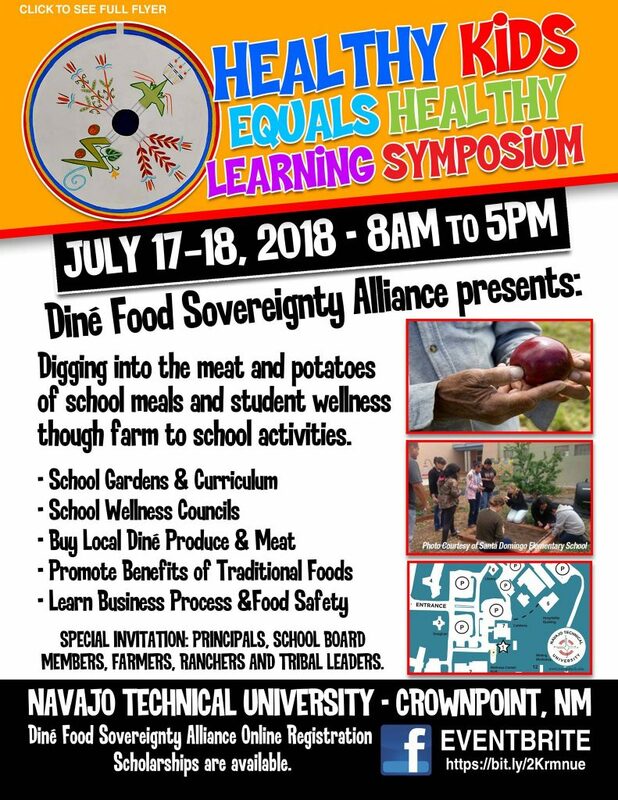 In addition to developing a plan, the symposium also fostered the partnerships that will sustain and expand Farm to School efforts in Navajo Nation. At the event, partner organizations reconnected on and recommitted to the work they can do together. And, one of the most impressive products from the symposium was a list of potential partnerships that spanned three huge pages. As one educator reminded the group, Farm to School efforts are going to take time. The plans developed at the symposium will turn into action over the next months, years, and even decade. But with the plans, partnerships, energy, and excitement for Farm to School coming out of this symposium, participants left ready to move this important work forward. The Center for Health Law and Policy Innovation (CHLPI) welcomes Rachel Landauer to the team as a Clinical Fellow! 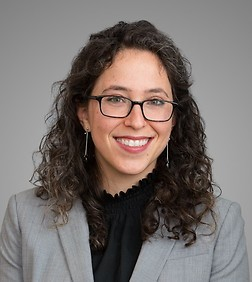 Rachel graduated from UCLA School of Law in May 2016 as a member of the David J. Epstein Program in Public Interest Law and Policy, and with a Master of Public Health degree from the UCLA Fielding School of Public Health. During law school, she worked with projects and organizations including the American Civil Liberties Union’s Reproductive Freedom Project, the National Health Law Program, and the Los Angeles HIV Law & Policy Project, and co-chaired UCLA’s Health Law Society. Immediately prior to joining the Center, Rachel was an associate at Sheppard, Mullin, Richter & Hampton LLP, focusing on health care regulatory and compliance matters.